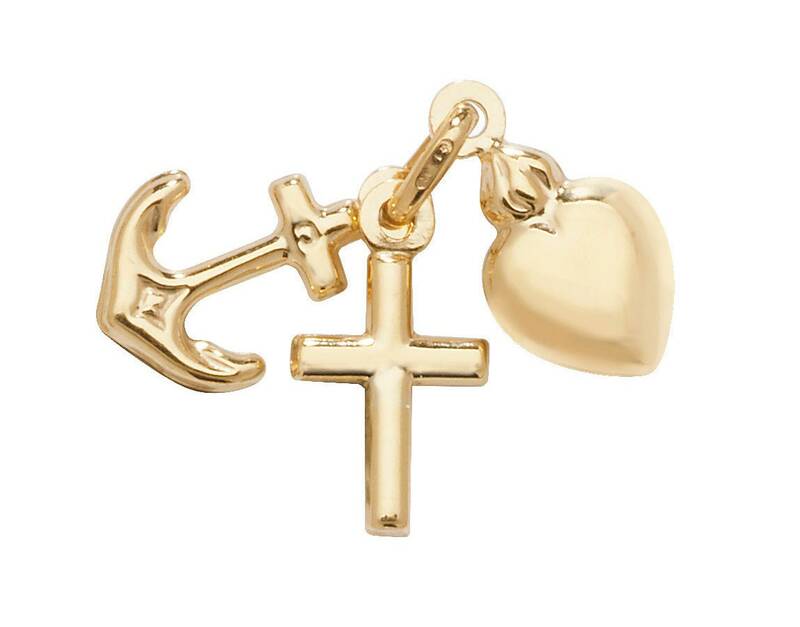 Charming 9ct yellow gold faith hope and charity charm pendant featuring an anchor heart and cross. Pendant size 1cm H x 0.8cm W (excluding loop). Loop size approx 4mm diameter.